AEIs co-founders are two animal lovers named Nora and Heather. A lot of people ask how they met. Back in 2008 Nora got at job at a wildlife centre in Toronto and Heather was (and still is) the head wildlife veterinarian there. Nora was the volunteer coordinator. Fresh back from a volunteering and backpacking adventure in central, south and east Asia Nora felt like she knew what made exceptional volunteer programs and what didn’t. She didn’t have much experience coordinating volunteers but she thought if she stuck with the golden rule and treated the volunteers as she wanted to be treated, everything would be great! One day Nora was looking for resources and found a book: Something in a Cardboard Box. 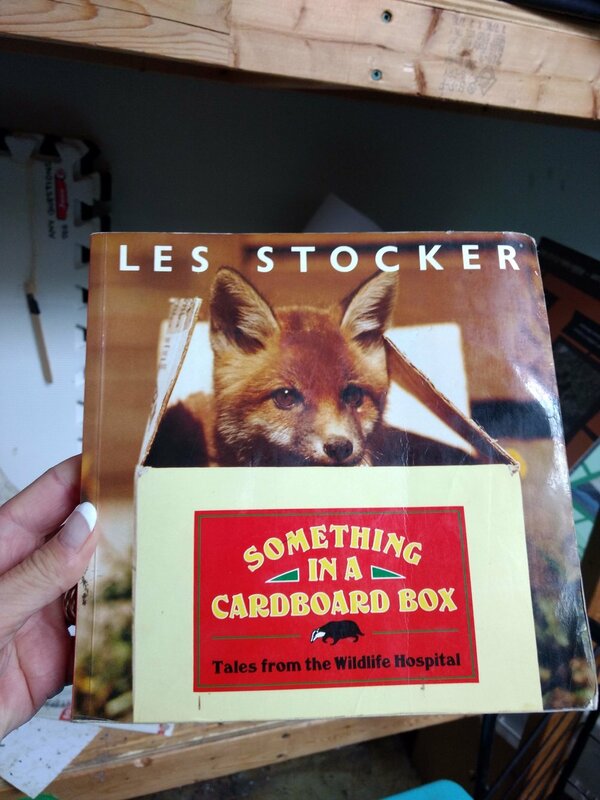 It was written by Les Stocker, the founder of a wildlife teaching hospital in England. The wildlife centre’s name? Tiggywinkles, named after the hedgehog in the Beatrix Potter series! Nora thought it sounded like an incredible place. Not only was it a wildlife rescue and rehabilitation centre (Nora’s fav.) but it also was called Tigglewinkles. What a name! Icing on the cake was they helped rescue hedgehogs, badgers, red kites and all matter of wonderfully English and European animals. At that time it seemed like it was so far away maybe Nora could only dream of visiting. Nora showed the book to Heather and they talked about how Tiggywinkles had a great name, wonderful ethos and some of the most photogenic animals they have ever seen! Fast forward to 2017. Nora and Heather now run Animal Experience International and have travelled all over North America, Australia, Europe, Asia and Africa visiting wildlife centres along the way. They signed up for the 2018 British Veterinary Nurse Association Conference in Telford England and got ready for another trip together. 2018 came and they had a wildly fun and successful conference and then realised Tiggywinkles was right around the corner- in Canadian terms! It was just an hour and a half drive from where they were staying. On Tuesday they visited the centre and were able to be absolutely delighted by the professionalism, the warmness and the commitment to animal welfare at Tiggywinkles. For Nora it was a dream fulfilled to go to THE Tiggywinkles and she couldn’t have been more delighted than to share it with Heather. The trip to Tiggywinkles wasn’t just a great outing to see red kites, ravens, polecats and hedgehogs in sanctuary, it was also a marker for them- to see how far they had come. Something In A Cardboard Box was there when they met each other and now this centre was there to celebrate a work friendship that blossomed into a social enterprise with hundreds of volunteers and alumni around the world. And how did they celebrate? With their very own hedgehog selfie, a photo truly a decade in the making. B Corps are certified by the nonprofit B Lab to meet rigorous standards of social and environmental performance, accountability, and transparency.